Nadi Shodhana pranayama, or the Alternate Nostril Breathing, with its various stages and combinations, is such a practice that covers the full spectrum of applications, starting from the purification to preparing the pranic body for higher spiritual progress. Here in Nadi Shodhana Pranayama – Part 3, external retention of the breath has been added to the practice. This practice is especially useful for people interested in meditation and spiritual awakening, along with so many other benefits of the Pranayama. Inhale through the left nostril for 4 seconds. Hold the breath inside for 4 seconds. Close the left nostril and exhale through the right nostril for 4 seconds. Hold the breath outside closing both the nostrils and for 4 seconds. Exhale slightly a bit through the right nostril and then start inhaling through it for again 4 seconds. Retain the breath in the same manner as was done after inhaling through the left nostril. Exhale through the left nostril, in the same manner for 4 seconds. Hold the breath outside for 4 seconds. After perfecting the ratio of 4:4:4:4, gradually increase the ratio to 5:5:5:5. Practice can gradually be increased until the ratio 10:10:10:10 is reached. After perfecting the ratio of 1:1:1:1, the practitioner can proceed to 1:1:2:1. Then he should try the ration of 1:2:2:1, but without straining. As the practice continues, the ratios of 1:2:2:2, 1:3:2:2 and 1:4:2:2 can be attempted and mastered. Once this technique has been mastered, add the bandhas to it for the advanced practice. It is always advisable to practice Kumbhakas & bandhas under the guidance of a competent teacher or a Guru. The inner and outer retention of the breath further activates brain centers. They work to their optimum capacity. It is good for the lungs. The retention of the breath purifies and balances the pranic forces. This advanced pranayama stimulates the energy centers, helping further in meditation practice. It is very good for the practitioners of kundalini yoga. Nadi Shodhana pranayama nourishes the whole body with an extra supply of oxygen. Carbon dioxide is expelled efficiently. The practitioner gets a higher concentration, get rid of anxiety and stress, gets clarity of thoughts, and tranquility of mind. Nadi Shodhana pranayama increases vitality. It balances the two sides of the brain and their functioning. 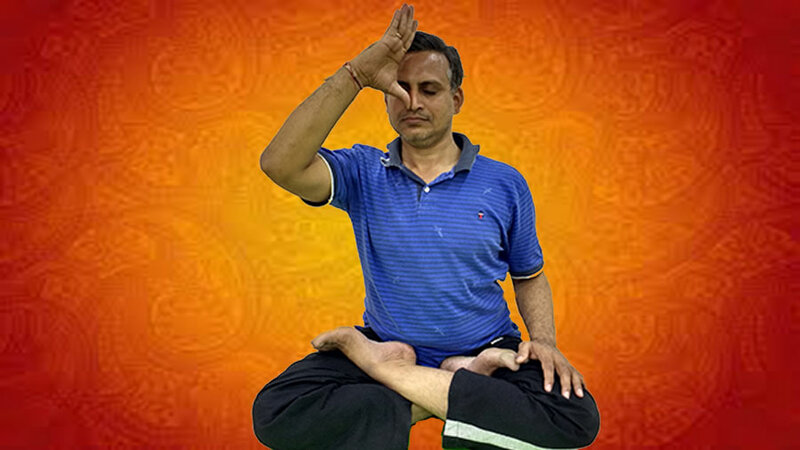 Nadi Shodhana pranayama affects the functioning of the Endocrine glands positively. Secretion of hormones is balanced. The word ‘Nadi’ means ‘flow’ or ‘channel’ of energy. The word ‘Shodhana’ means purification. Nadi Shodhana, therefore, means that practice which purifies the energy channels. The energy channels in a human body can get blocked due to many reasons, mainly pertaining to the present lifestyle. Nadi Shodhana pranayama helps clear these energy channels, thus calming the mind and taking the practitioner to the higher stages of Meditation and Kundalini Yoga.